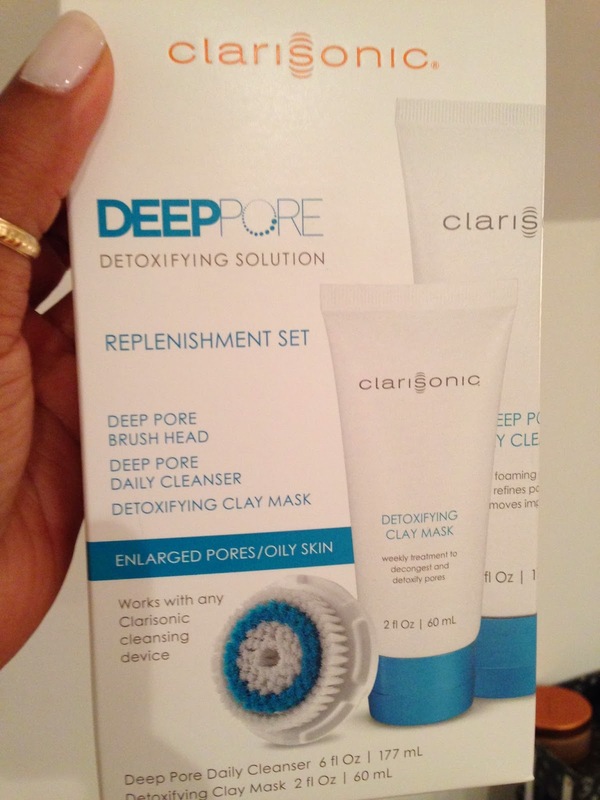 Ok, so it's been about six weeks since I started using the Clarisonic Deep Pore Cleansing system. The combination of all three pieces promises to control oil and noticeably minimize large pores. While the brush head is recommended for all skin types who have pores issues, the cleanser and mask are marketed toward individuals battling to control both. It's recommended that the mask is used a couple times a week in conjunction with the cleanser. 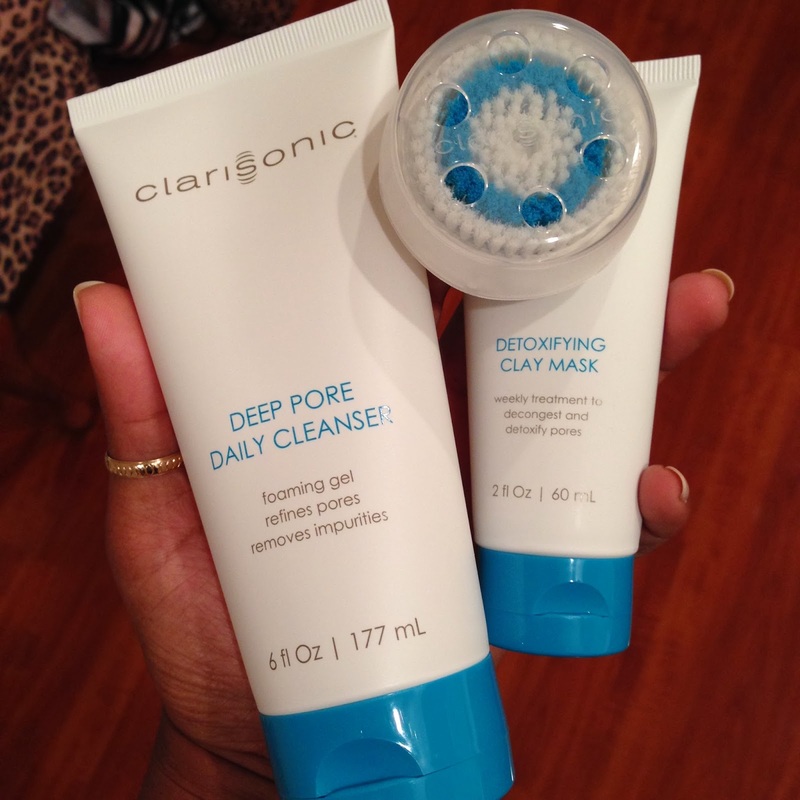 As I previously wrote about, I love my Clarisonic and opted for the acne brush over the deep pore one. However, I couldn't resist the urge when they packaged it up so nicely and talked those sweet words about smooth skin and disappearing pores. 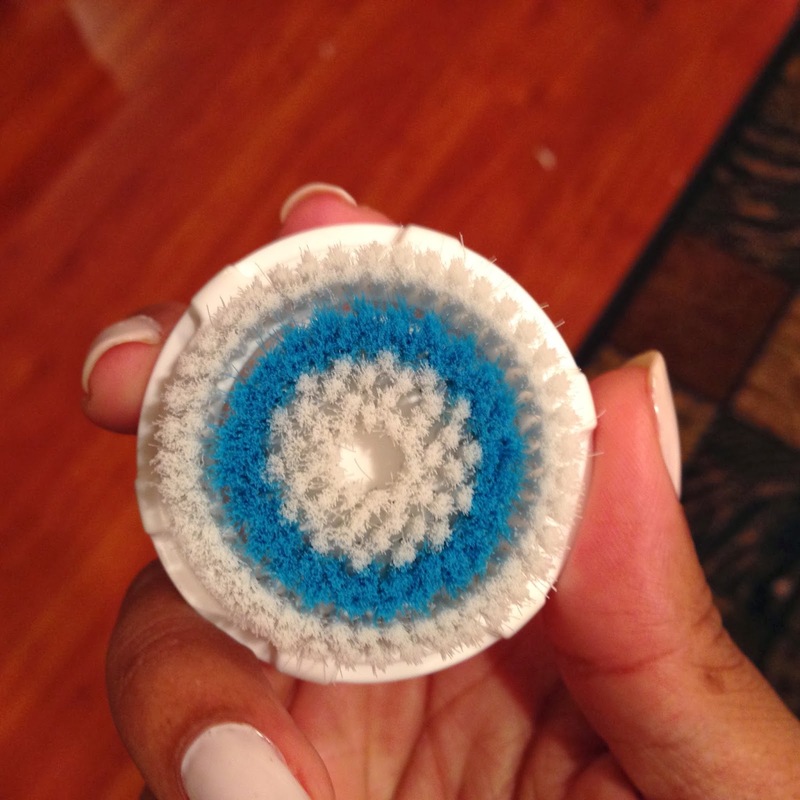 When I used other cleansers that originally came with my brush, I felt they were more like detergent. Very drying and too harsh on even my oily face. Stuff like this tends to make the situation worse, as your skin attempts to overcompensate and therefore produces even more oil. I found this deep pore cleanser to be less drying, but not by much. But felt that it cleansed in lieu of stripping moisture from the skin. So, I didn't have a problem using it twice a day, as long as I moisturized after (as I have to do anyway). The problem with this cleanser is that it is entirely too fragranced. I am sensitive to smells, but it's not like this is going to trigger a headache, but there's potential for a sneezing attack. It may sound odd to say keep it away from your nostrils and mouth, as you would think you would do that with most cleansers anyway. But seriously, this time, really take heed. It kind of stings or irritates my nasal passage and it tastes positively horrible. Of course none of them taste pleasant, but none of my other cleansers leave any bitter afterthoughts in my mind. I can't even recall a taste. And that means something. In case you're curious, I rotate Neutrogena stress relief scrub, Murad AHA cleanser, Dr. Perricone vitamin C cleanser and Clean & Clear Soft scrub. I find that it is entirely too drying to use this method. What I found works best is to use it after a milder cleanser, and remove it by rinsing off as I do any other mask. As for the brush, I don't hate it. At first, I couldn't really tell the difference between this and my normal brush, but after several days I felt that it was denser and plusher than the acne brush, with shorter bristles. But the brush itself seems to clean well. So, leaving you with my final thoughts - don't bother. The kit retails for about $65 at most retailers, but I suggest you save your money and buy just the brush instead if you're truly interested. Although my breakouts have been tame as of late, I will likely return to my acne brush head after I finish with this one. However, I did see that they now offer Luxe High Performance brush heads, and I'm super intrigued (I'm a sucker for words like 'luxe'), so it's pretty likely that I'll have another review for you soon! *This is not a sponsored posts, all products discussed were purchased with my own money. The opinions expressed are my own. Dress down day, that's what the kids call it in school, right? But really though, can you guys believe it?! 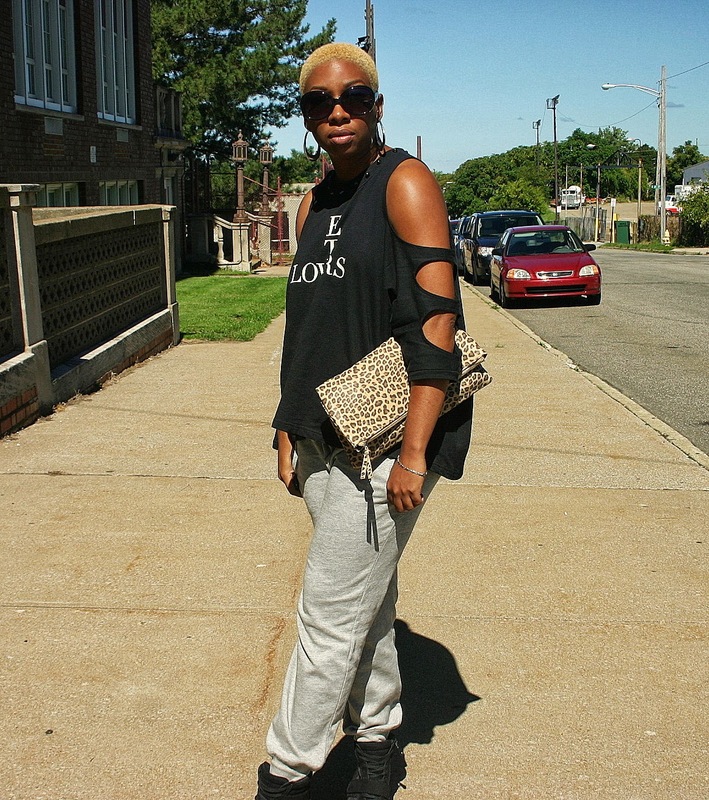 I'm actually rockin' sweats and sneakers on the blog today! Yep, I actually own some, which some of my close friends totally would not believe I even own and wear when I'm not working out. Hey, I like to get comfortable too, and some days its just necessary, y'know. 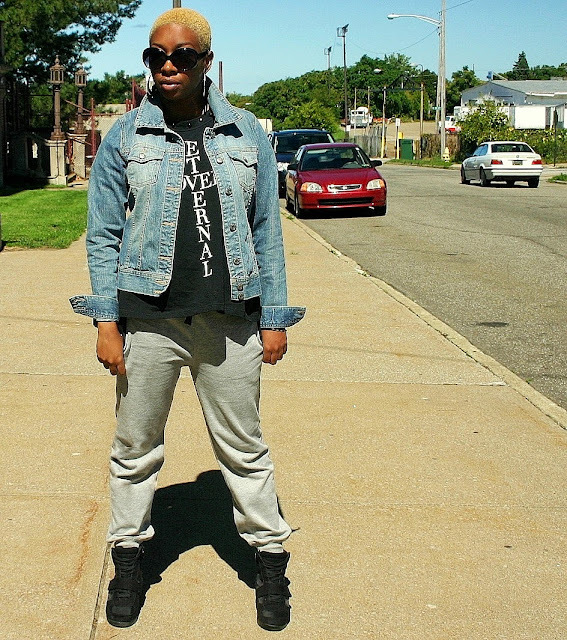 I love me some joggers though, especially the ones with the tapered ankle. I'm the first one who wouldn't be shy about wearing sweatpants and heels. I know some say it's a fashion "don't," but for me it's a little glam meets a bit of street. However, for this day, it was all about cute, cool and comfortable - hence the wedge sneakers. But either way I'd toss on a big, slouchy sweater or sweatshirt and off I go. I'm not big on studs, but I thought the neckline added a little baddie, no? 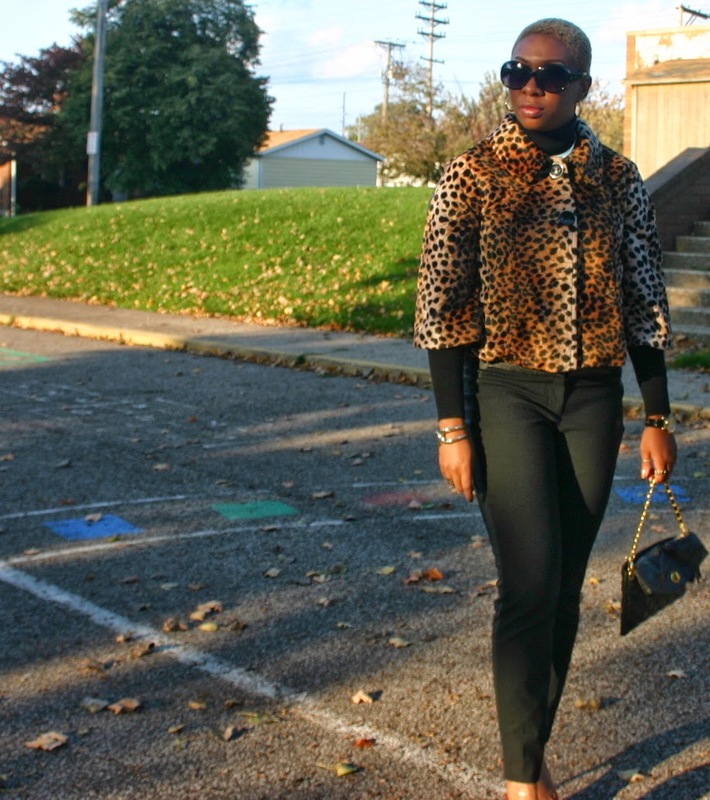 I really gravitate to off the shoulder stuff too, pretty much just as much as I love leopard print. And even though this top was a bit different from my normal style choices, it sang to me from the rack as I walked by (think Pier One commercial). You all might be slightly surprised to know that as much as I buy new things, this denim jacket is an oldie, but goodie. 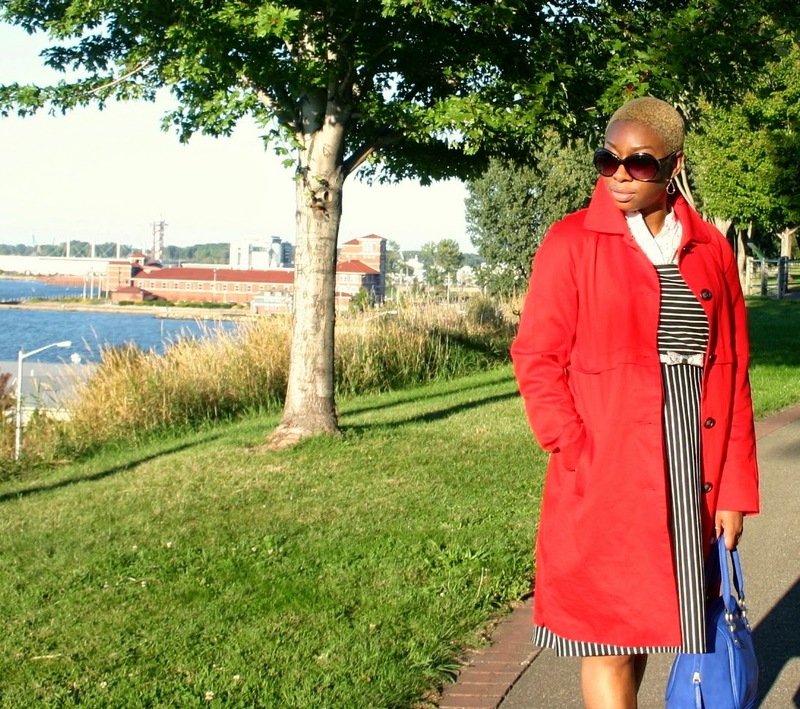 I got it at Old Navy for about $20 like nine years ago and it's a workhorse, it's takes me through spring and fall with a pashmina double wrapped around my neck, wards off the chill on cool summer nights, and adds some casual ease to business pieces. I'm curious whether you ladies think I'd be committing a fashion crime by wearing stilettos and sweats, so feel free to drop me a comment below! Until next time, beauties, have a fabulous week! I haven't done one of these in a minute, but let me just put it out in the atmosphere...for fall, I desire dresses, but more specifically dresses with sleeves. 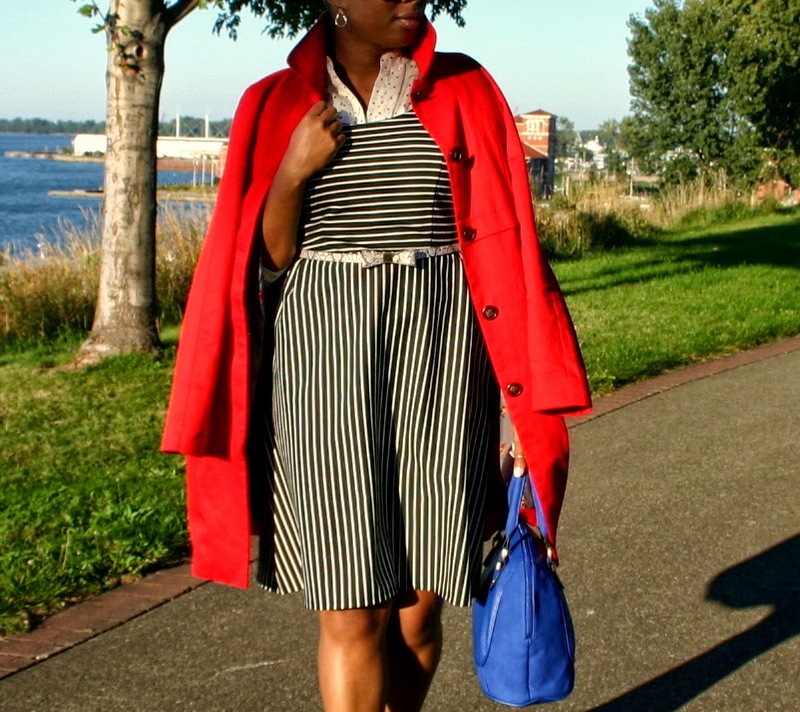 I want weather appropriate dresses that compliment the figure, by skimming, not clinging, to my shape. I want work appropriate choices that keep me warm in the office without needing an extra layer, but are chic enough to take me through the weekend with a scarf swirled about my neck finished off with ankle booties and patterned tights. Give me cozy knit fabrics in flirty silhouettes, that leave me feeling fly, not frumpy. And if you please, as wrinkle free as possible, with forgiving cuts that leave room, because I like to eat. I mean, 'tis is the season for apple cider, pumpkin laced everything, sprinkled with a bag of Halloween candy and a dash of Thanksgiving and Christmas dinner - so a little wiggle room becomes very necessary. My world has been super busy and I've been a bit under the weather, but I'm feeling better and I'm excited to share the pieces I've purchased for this season with you all! I'm calling it my "fall haul" because I've been collecting various pieces since around August, but just really started pulling them out. 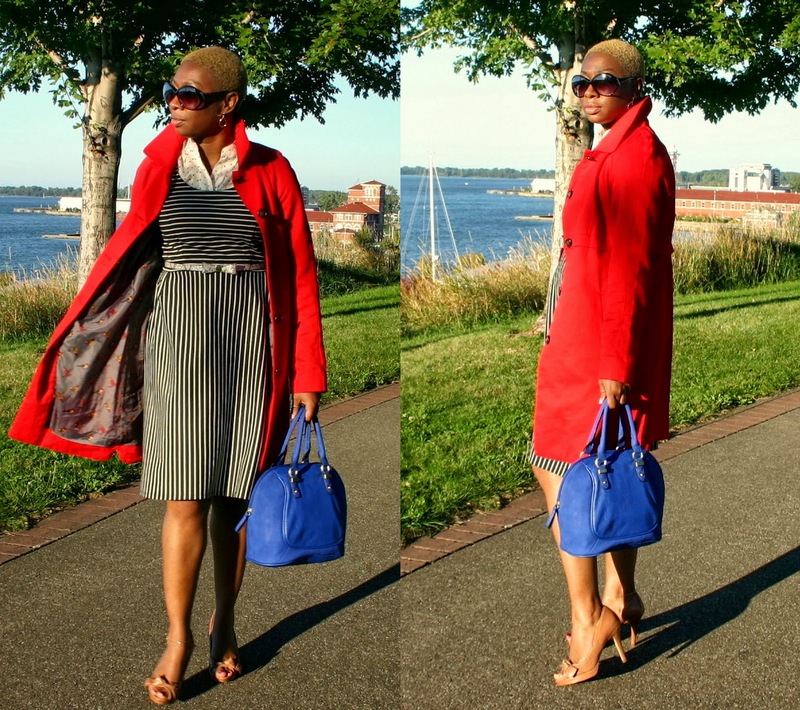 Nothing's better than a knee length sheath dress to add to your wardrobe, especially one with sleeves! 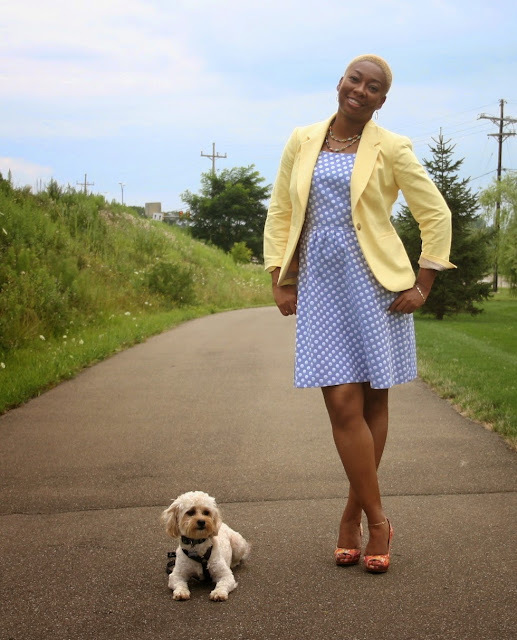 Very versatile because the feel of the dress can be switched up by wearing it under blazers and cardigans, adding tights and boots or simply switching up the heels and jewelry. 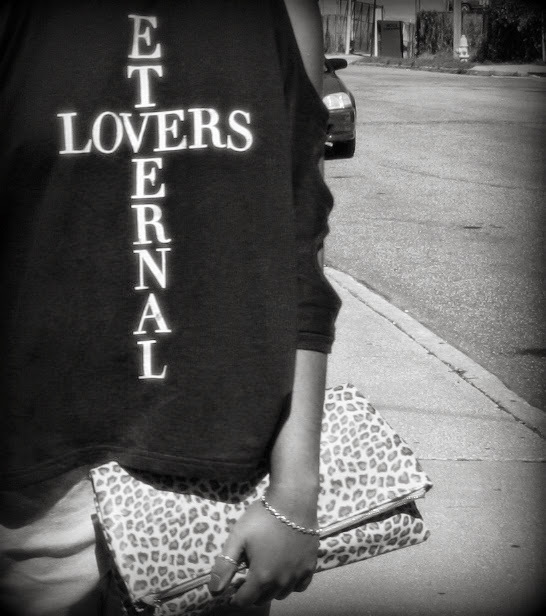 I love wearing stylish pieces that are comfortable, like slouchy tops and sweaters and loose fitting pants. This kind of look can even be dressed up a little more by adding a blazer in a heavier fabric, like tweed, and a chunky scarf. Coated skinnies offer a nice sleek look, like a cigarette pant, and are more substantial than jeggings, which is perfect for the cooler temps. Short sleeves can be layered over long sleeve tissue tees to add a layer of warmth. A striped print long tee can tone down the "bad girl" feel this look gives off as well. The black coating and shiny leather provide some edge for this look, adding a blazer and tights can make it office friendly. Perfect dress for date night or girls night, and the girlish A-line shape can make the leather more office friendly with a blazer, cardigan or turtleneck paired with low key pumps. 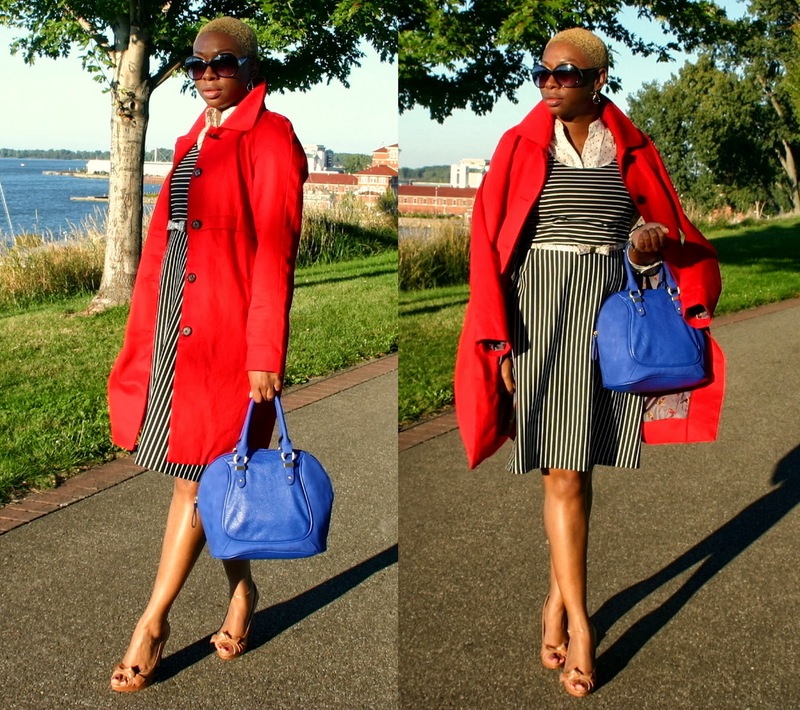 Cobalt is one of the on trend colors of the season. A lighter weight satin top is seasonless and adds some texture dimension when layered under heavy knit cocoon cardigans. A cream lightweight knit sweater is wonderful for chillier seasons, works great with jeans, skirts or dress pants and adds warmth without bulk. Metallics, like leopard print, work like neutrals, and can be interchanged with everything from dark hues like Bordeaux (I hate the word 'oxblood') and hunter green to your brights like citron and fuchsia. Although it was totally unintentional, it easy to see the trends I fell in love with this season - namely leather and leopard with a dose of metallic! The weather here has been beautiful and still pretty warm, and I'm excited to start integrating these pieces into my wardrobe. I also want to take a moment to give a HUGE thank you to my cousin, Kelly, for lending me her photography skills to help me pull this post together! I'm really looking forward to working with you more! On that note, I hope I've provided you ladies with some inspiration or styling ideas and now I'm off to pack for a work trip! You divas make it fabulous week! But let's talk for a minute... Let's talk about how this was just not a great photo shoot day. Like this is seriously the only photo that came out well. I decided to do a little multitasking and take pictures in between dropping my mom off for errands. However, imagine my delight once I got to my destination and I realized that I'd left my shutter release at home. I. Was. Tickled. Pink. And to further add insult to injury, for whatever reason, the camera self timer did not want to play nice. So, if it wasn't for this one photo, it would've been a total waste of time. So thank goodness there was at least one in the bunch. But thankfully my little guy was being on his best behavior (unlike the other day at the park), so I guess I can be grateful for that too... I do love this photo though, so I'm probably going to get a copy framed and add it to the family portrait wall in my house. 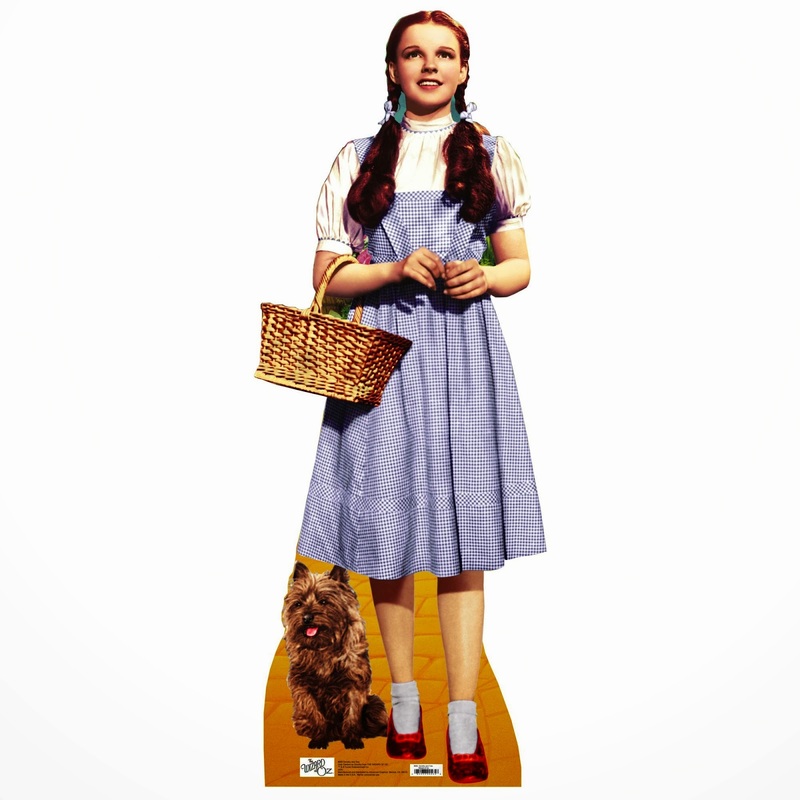 But I have to admit that it was rather hilarious to me when I realized the blue dress, reddish shoes and a pup chillin' at my side felt kinda reminiscent of an image of Dorothy in the Wizard of Oz lol! I hope all of you all of having a great start to your week! 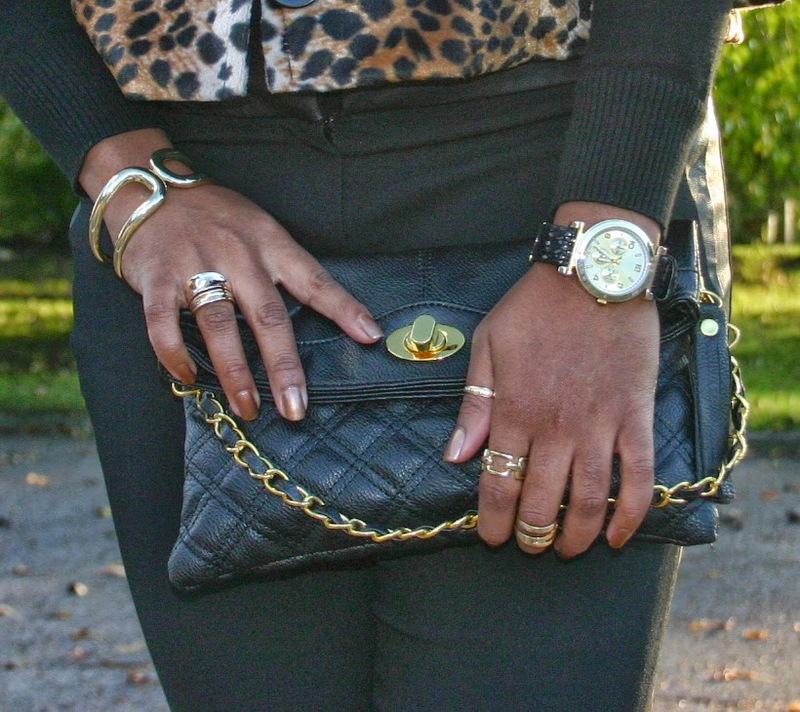 If you haven't yet done so, I encourage you to enter my Fall Fabulous Mini Haul featuring a Phillip Lim for Target Mini Satchel! There's only two more days before the giveaway closes!